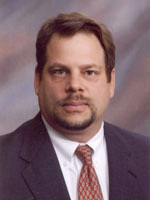 Attorney George Fee possesses extensive experience in business, which he brings to the practice of law. From 1984 until 1999 he was engaged overseas in several occupations including U.S. Government service as a Peace Corps Volunteer in Honduras, and private sector employment with Chiquita Brands International that included positions in Guatemala, Panama and Belgium. A general practitioner, his work is geared towards serving the Hispanic community of greater Cincinnati. Areas of practice include: family and business immigration, criminal and traffic defense, and transactional / business law. George received his law degree from Salmon P. Chase College of Law at Northern Kentucky University (J.D., 2005), and was admitted to the Ohio Bar in 2005. Fully fluent in Spanish, George and offers his clients the opportunity to consult with him in either English or Spanish, whichever language is more convenient for their needs.